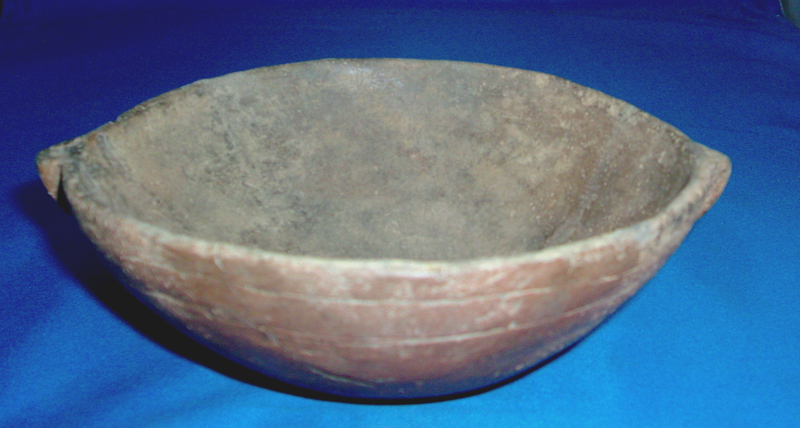 A Medium Size, Well Made, Caddo East Bowl That Exhibits Surface Sheen & Clay Coloration Patina, Correct Aged Open Pit Firing And Firemarking, Aged Surface Early Grit And Crushed Pottery Grog Deterioration, Correct Vessel Shape And Style Decoration, Aging In The Decorated Lines, Correct Material & Manufacture For The Area Found. Ex-Jack Bonds Collection! This Is An Early Period Caddo Bowl, Having Lug Style Handles And A Typical Two Line Decoration At The Top Of The Bowl! Includes A Ken Partain Certificate Of Authenticity!